Augusta Georgia is Killing Animals By the Scores! Augusta is a city of 200,000 located in the eastern part of Georgia. If you’re a golf fan, you’ve heard of Augusta- it’s where the Masters golf tournament is held each spring. The unemployment rate in Augusta as of August of this year was 9.8%. 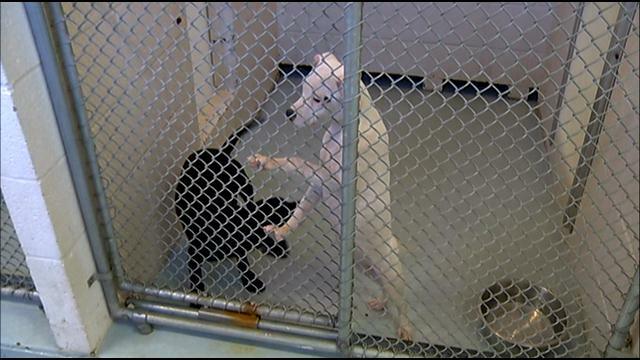 Augusta’s animal shelter has a 70% kill rate. It’s not that they aren’t trying to lower it. But a major problem is that 70% of the animals coming into shelter are strays that are not reclaimed by an owner and are not subsequently adopted. 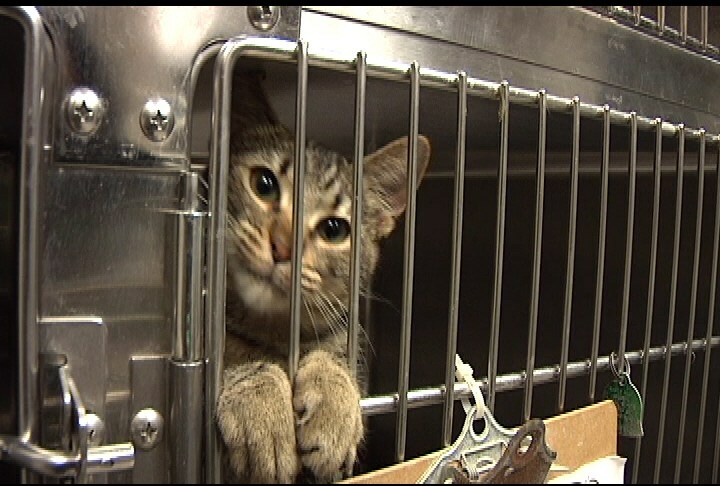 Current law allows for euthanization after an animal being held 5 days. It also doesn’t help that the city practices ‘trap-and-kill’ for stray cats, instead of TNR. Some animal-loving Augustans got together and proposed changes to current animal welfare laws. Those changes include not tethering animals, licensing of animals, not riding dogs around in the back of a pick up truck unless secured, holding animals for 20 days before euthanization, and mandatory spay/neuter of all pets 6 months of age or older. But the Augusta commission has decided there’s a problem with that last provision. Why? Strong opposition from the American Kennel Club. So the commission has decided that perhaps the law needs “tweaking.” Meanwhile, the war rages on, with animal welfare advocates squaring off against breeders and show dog owners. The commission will discuss the proposed law Tuesday night, and indications are there are enough votes on the commission to squash the mandatory spay/neuter part of the law. And,yet again, animals die needlessly while the desires of humans win out. « What? We moved AGAIN? I’ve heard of the name, ‘Augusta’ and thought that it was a beautiful place with lovely golf course and many natures….but didn’t know that killing rate of the shelter animals is 70%…..which is quite high rate, isn’t it? That rate is horribly high, and absolutrly inacceptable. We are a Florida Rescue and have first hand knowledge of this situation. We fought to help some of these dogs and managed to help 27 this summer. A few weeks ago, a volunteer with a small plane brought us 14 more. The situation in Augusta is beyond horrible. Sandra, first of all, thank you so much for what you do to help dogs. Secondly, there will never be enough rescues in the area to take in the number of animals they euthanize yearly. So something HAS to give. Unless, of course, Augustans don’t care that they have killed over 4,000 dogs and cats this year alone for no reason other then they have no home, all to appease an organization that promotes breeders. Please look at the pictures of Tuffy on our recovery page. Tuffy arrived from Augusta Georgia Animal Control almost dead. He spent 5 weeks in this overcroweded building, ignored as the fleas sucked his blood and he lay dying of starvation. A taxpayer funded facility let him suffer almost to death. Shame on you Sharon Broady, Director of this facility, who fought with PPR when we begged for Tuffy’s life. Tuffy’s PCV was 18 (red blood cells). Normal is 37-55. He couldn’t walk. We gave him a transfusion, got him up to 25 and now his PCV is 36. The animal controls we work with are phenomenal. Not this one. This animal control in Augusta Georgia, also known as Richmond County Animal Shelter, is a hoarding facility, a dog warehouse. Luckily Tuffy got out of that hell on Earth and he is HOME! Oh my God! That dog was in that condition out of a shelter? That is despicable! I don’t live in Augusta. What can I do? You post this article, I’m outraged and saddened. What am I supposed to do with this information?? What steps to help are you suggesting for people that don’t live in that state? There is plenty you can do. You can write a letter to the editor of the local paper. You can write letters to the members of the Augusta commission. After all, AKC isn’t from there, so why shouldn’t your voice be heard as well. You can also share this blog post to make more people aware of what’s going on there. can I do something what helps? or can I only cross my fingers for tuesday night? I’m so sad that so much animals have to die…. As I told Tracy, you can write a letter to the editor of the local paper. You can write letters to the members of the Augusta commission. After all, AKC isn’t from there, so why shouldn’t your voice be heard as well. You can also share this blog post to make more people aware of what’s going on there. I will share it and I hope it helps a little. The more people that know what’s going on there, the better we can advocate for this law. Pathetic.Where is the “I don’t like” button! And yet it is all too true.